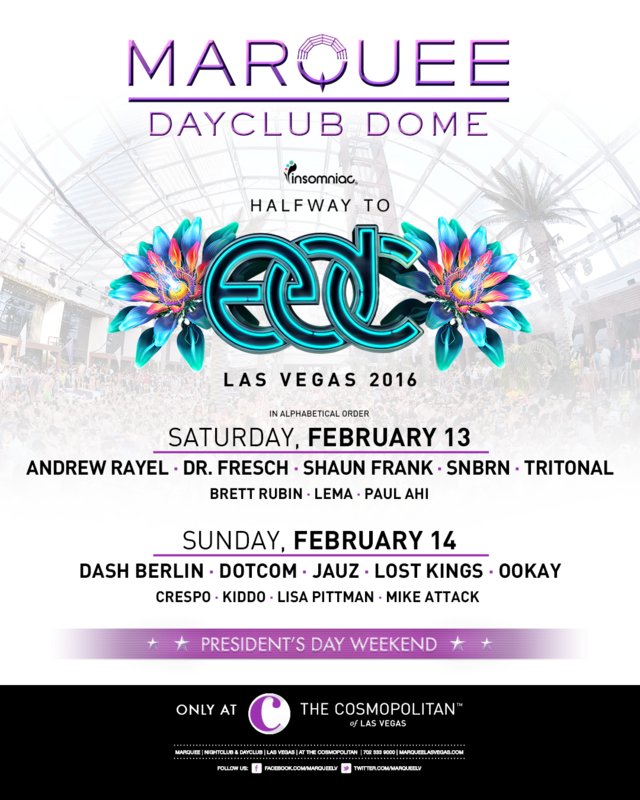 Tickets for Electric Daisy Carnival, Las Vegas’ fourth annual Half Way to EDC Las Vegas 2016 party are NOW on sale. EDC Headliners are invited to celebrate the upcoming 20th anniversary of North America’s largest dance music festival during the exclusive two-day winter pool party. 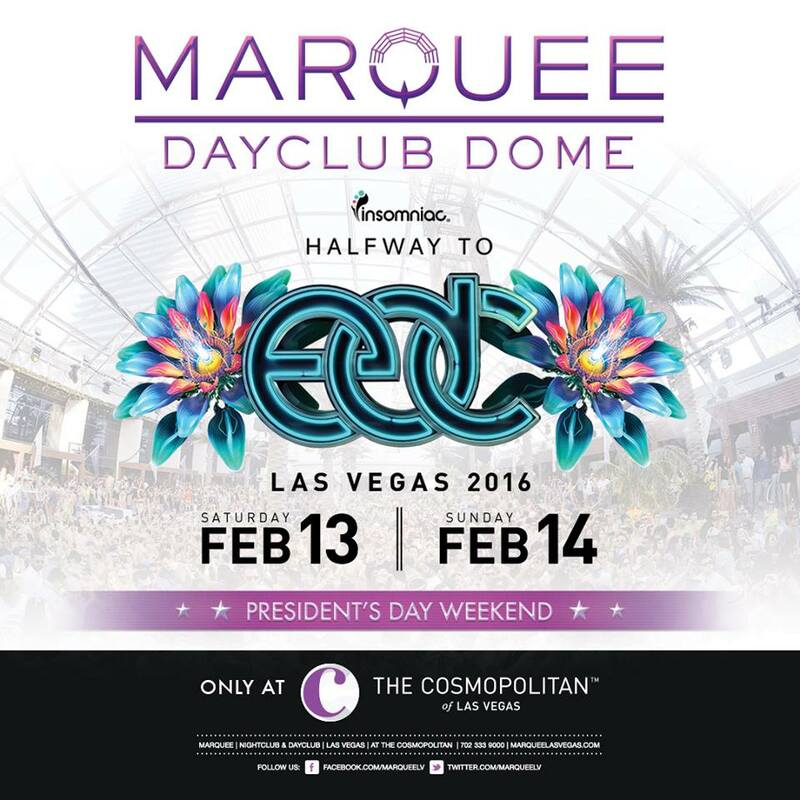 EDC will take over the Marquee Dayclub Dome at The Cosmopolitan of Las Vegas on Saturday, February 13 and Sunday, February 14 from 11 a.m. (PST) to sunset. In true Insomniac fashion, the festivities will feature exquisite lighting, high quality sound, beautiful palms, eight cabana lounge areas, climate controlled dual heated pools and more within Marquee Dayclub Dome’s 22,000 sq. foot blueprint. 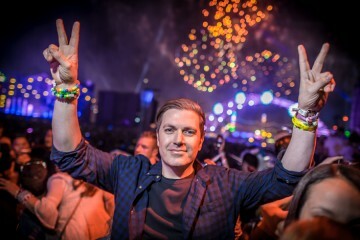 Last year, attendees commemorated the half way mark with performances by Firebeatz, Andrew Rayel, Dash Berlin, Audien, and other incredible dance music acts. Tickets for Half Way to EDC Las Vegas 2016 (21+ event) are now on sale . Single-day passes start at $25 for females and $35 for males, including fees. 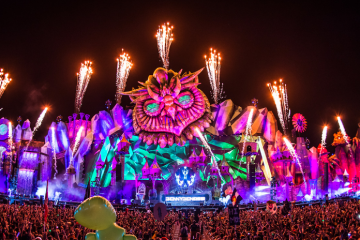 Additional information regarding the Half Way to EDC Las Vegas 2016 line up will be announced in the New Year.